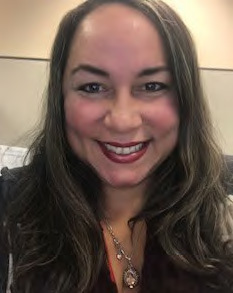 APTIM Community Outreach Coordinator Szaritza Vazquez-Betancourt, a Puerto Rico native, moved to the United States to pursue opportunity. With over 20 years of disaster recovery experience, she gave back to her home in a major way. After witnessing the devastation that resulted from Hurricane Maria, Ms. Vazquez, along with her friend Kelly Thompson, created a Go Fund Me page and raised close to USD $1M for disaster relief within six months. Kelly reached out to Szaritza with an original goal to raise $30,000 for the little island of Vieques, Puerto Rico as well as the "big island" of Puerto Rico. Szaritza was personally motivated to help her family members and friends, aware that the government lacked resources and experience. She contacted everyone she knew to see how she could help. Szaritza and her group formed a contingency plan, rented private planes, and purchased satellite. She sent delegates with satellite phones to the island to help address urgent needs. They contacted the Emergency Management Office. As the only person in the group with disaster recovery experience, Szaritza knew how to address what was important. Szaritza and Kelly started raising more money than anticipated and news spread quickly. Szaritza started reaching out to non-profit organizations, senators, representatives, doctors, hospitals, charities, and anyone that could help with immediate needs. Government assessment was delaying all possible help on the island. "I had morning conference calls with government representatives, generals, private sectors, charity representatives, and airport commanders, all together with one purpose—to get on island as soon as possible. Everything was surreal, but we were determined, " said Szaritza. During this effort, Szaritza developed strong friendships with people from all over the world who came together to be a part of the recovery efforts. "The important thing is to reach out and help, that's it. Team work—that is what it takes. If you like helping others, you like what you do, you will be successful at it, " she says.